Susun's finally getting an evening of relaxation. We've both been on a Fast Track for what seems like weeks. 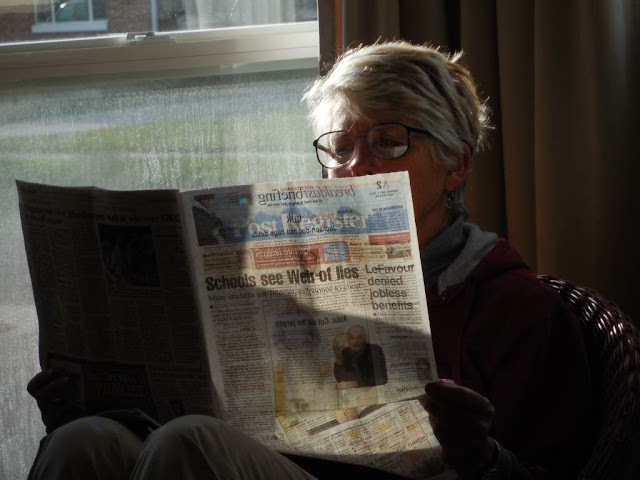 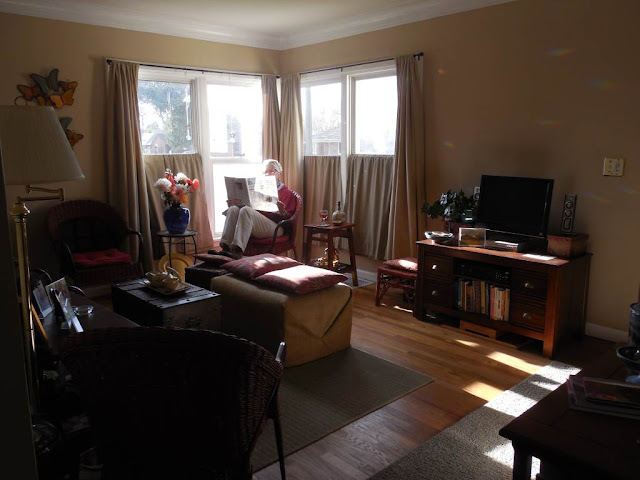 It's great to see her kicking back in our living room, reading "The Post-Register" by the low angle, late rays of an early May sunset.